Boxall Brown & Jones have grown into one of the largest specialist letting agents in the region and are expanding fast. Established for over 27 years, Boxall Brown & Jones are an independent firm of Chartered Surveyors offering the very highest standards in property lettings. 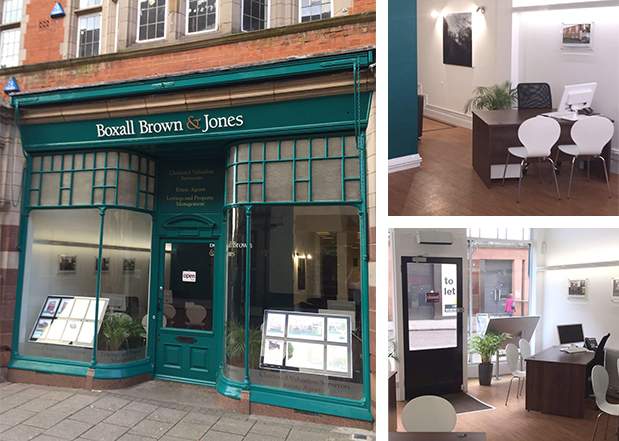 Based in the heart of the historic city of Derby, Boxall Brown & Jones are able to offer the full property management service; taking the stress out of letting your property. With offices in Derby, Allestree and Belper, we are proud to be the leading residential lettings property management specialist. Landlords can trust Boxall Brown & Jones to ensure that their property is carefully marketed and managed by real professionals with years of lettings experience. Our experienced team provide a wealth of knowledge and local expertise and are committed to delivering the highest level of customer service. We pride ourselves on the quality of service we provide to our existing and ever expanding client base, all of whom trust Boxall Brown & Jones to look after their property. As a progressive lettings company, Boxall Brown & Jones Residential Lettings and Management Team are always looking for high achievers; people wanting to excel in the property world.